We've seen her rule the red carpet in everything from fingerwaves to waist-length curls and this month, she's slaying in braids. 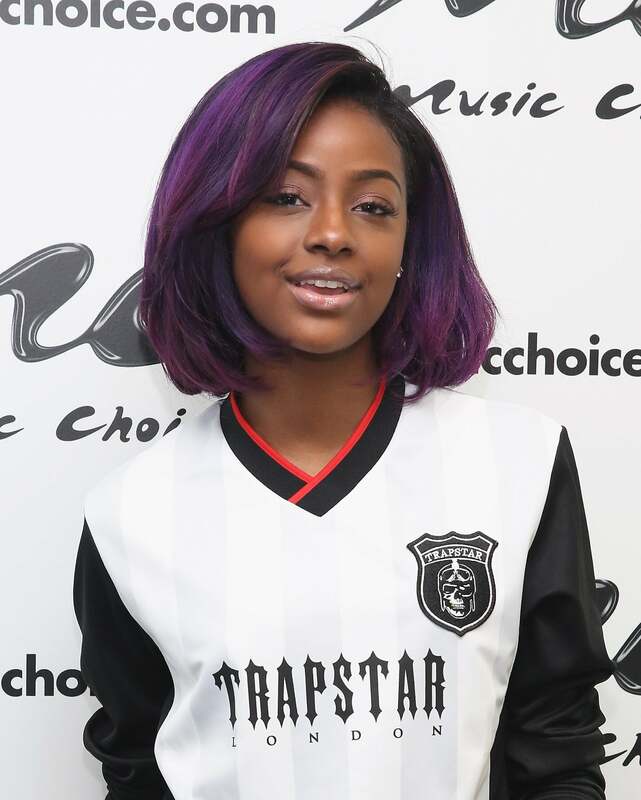 We can’t talk about signature looks without mentioning Justine Skye. 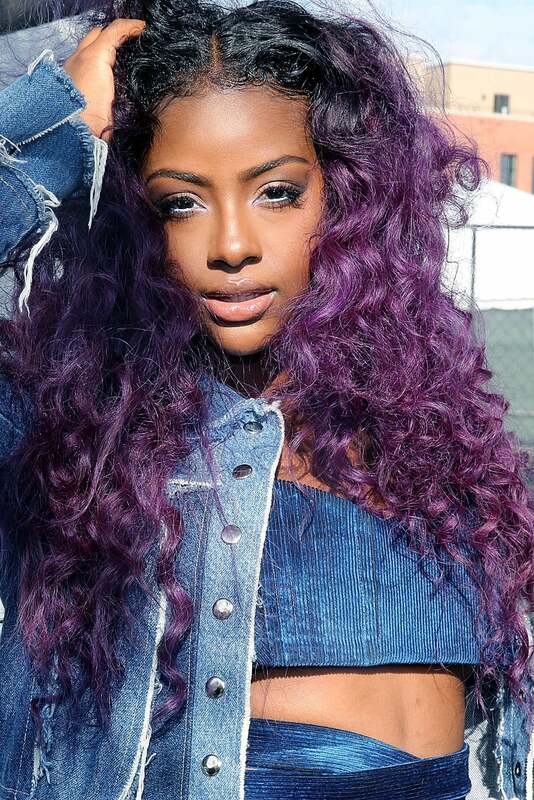 Rocking purple hair since her 2013 debut, the singer manages to keep her go-to color in tact without sacrificing versatility. We’ve seen her rule the red carpet in everything from fingerwaves to waist-length curls and this month, she’s slaying in braids. Last week, Skye celebrated her Forever 21 collaboration in the vibrant do (above) and now, we’re so ready for festival season. Whether you’re braving the desert for Coachella or traveling to New Orleans for ESSENCE Festival, protective styling makes it easier to navigate these weekend trips without the worry of a hairstyle falling a part. 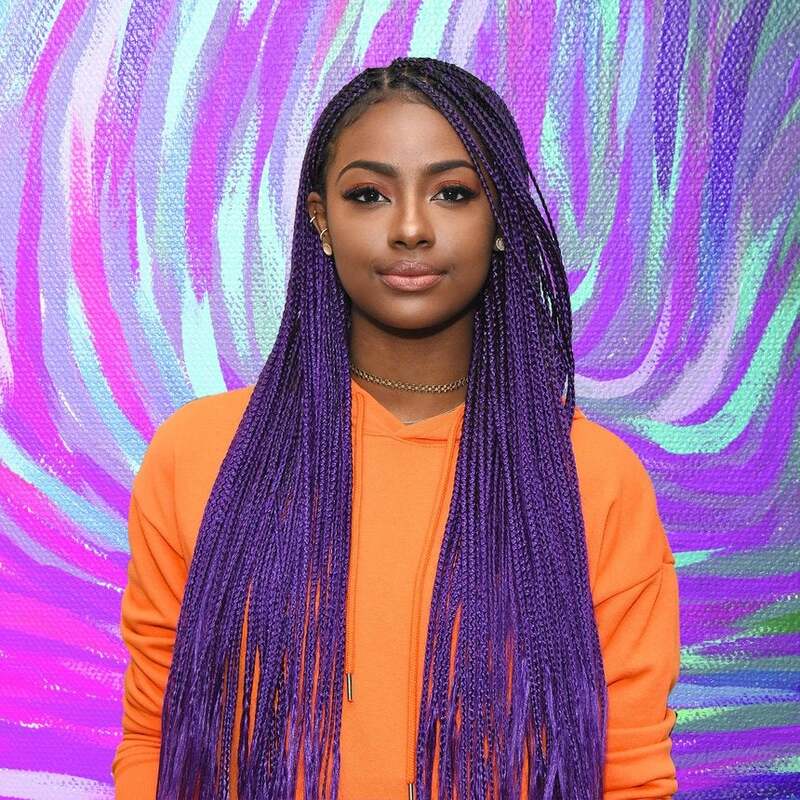 If you’re in need of more hair inspo, keep scrolling for all of Justine’s hottest hair moments to date! And click here for other celeb moments you may have missed this week. Back in 2013, the songstress looked fresh-faced in shoulder length locks. Justine's natural curls flourish at a 2013 fashion event. 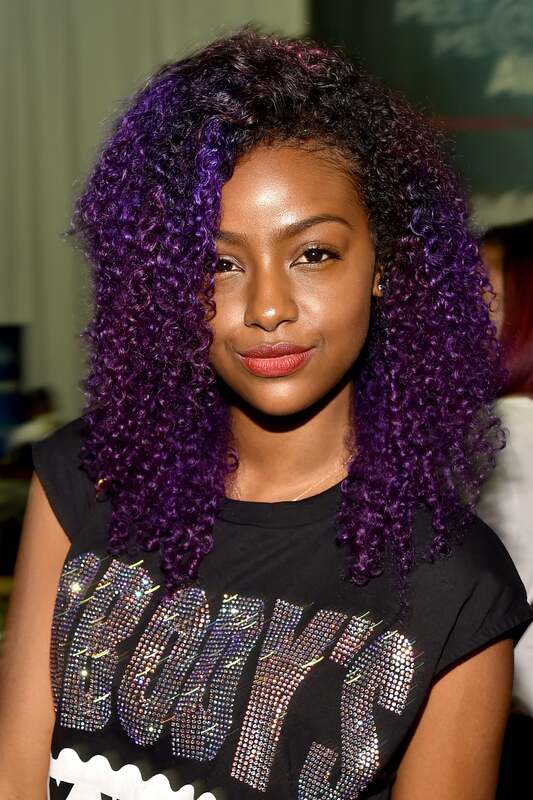 In 2014, Skye's purple curls gave life during BET Awards weekend. Skye looked like a real life mermaid at the 2014 BMI R&B/Hip-Hop Awards. Justine looked like a bonafide popstar while visiting 106&Park in 2014. 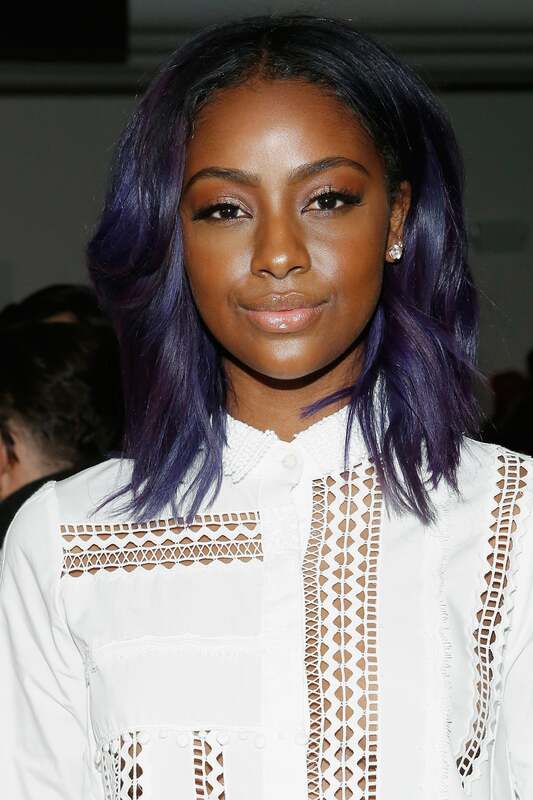 Justine's wavy do caught our eye at the 2014 Soul Train Music Awards. 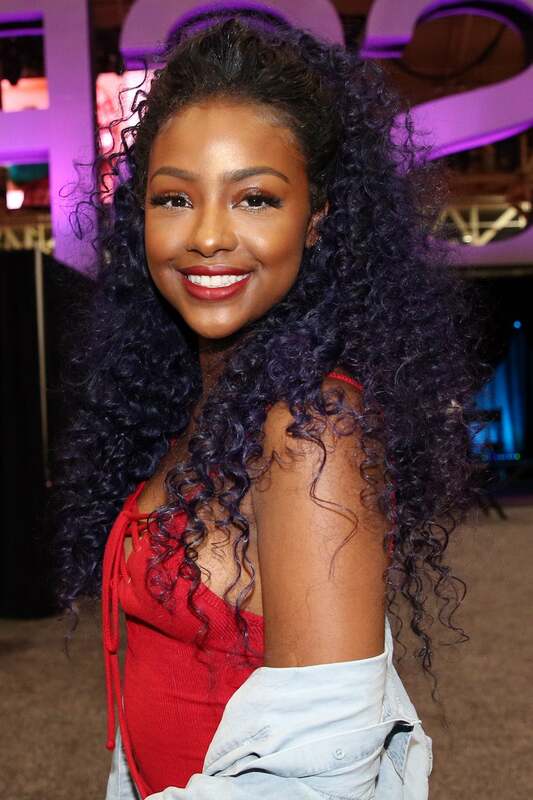 Skye's purple locks were sleek and fabulous at our 2015 'Black Women in Music' event. Proving that she can slay in any length, Justine styled her hair into a classic bob back in 2015. Rapunzel's got nothing on Justine's long purple tresses. Completely obsessed with this half-up, half-down style Justine wore in 2015. In September 2015, Justine kicked off NYFW with one of her fiercest hairstyles to date. Justine's waistlong curls giving life, per usual. Last year, we could not handle the slayage that was Justine's sleek and straight lob. Justine pulls off an effortless slay in this wavy bob. Justine achieved the perfect amount of volume and luster with this bob/bang combo. For the 2016 DVF Awards, Justine sported a simple, yet stylish bob with bangs. In May 2016, the singer sported this cutesy bob to Nylon's 'Young Hollywood' event. Last year, she served in fingerwaves for MoCADA's 2nd Annual Masquerade Ball. At last year's ESSENCE Festival, the singer looked summer fresh in this fun hairstyle. Last summer, Justine shut down Roc Nation's Charity Basketball Tournament in this braided ponytail. Now, this is the type of hairstyle you can't help but show off. In August 2016, Skye celebrated her birthday in a chic do. 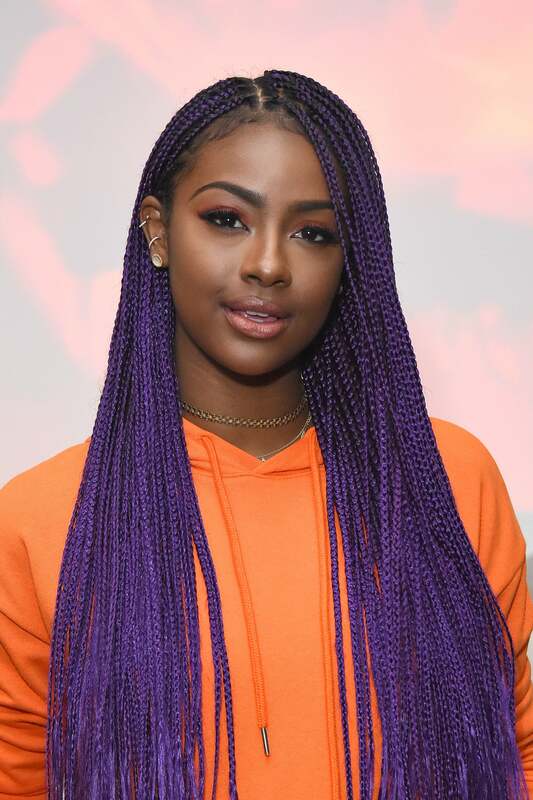 Justine came correct in a head-turning hairstyle at NYC Beautycon. The singer took our breath away with her perfect do at the 2016 CFDA/Vogue Fashion Fund Awards.